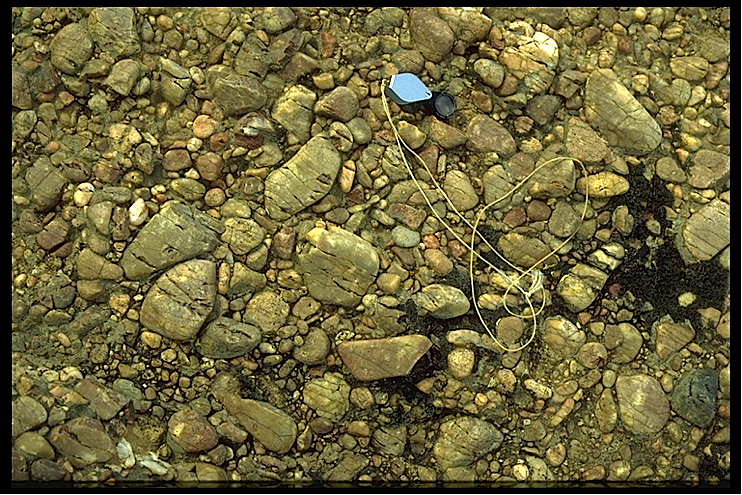 Wherever the basal Buntsandstein conglomerates are exposed around the Rubielos de la Cérida impact basin the typically fractured, cratered and pock-marked quartzite cobbles and boulders can be observed, and their peculiar features can best be studied when they become widely scattered in the field after disintegration of the conglomerates. Fig. 1. Buntsandstein basal conglomerates outcropping at Rueda de la Cierra. 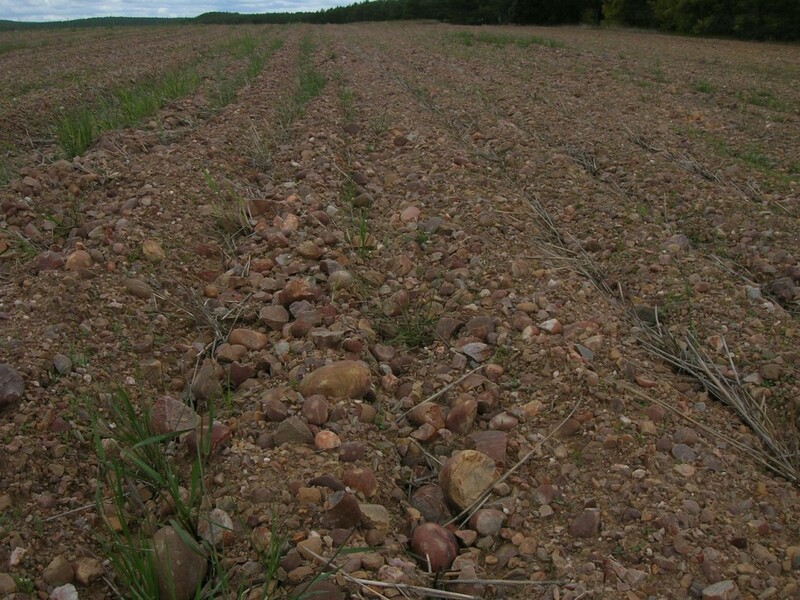 The quartzite cobbles in a sandy matrix are typically pock-marked. Fig. 2. Buntsandstein basal conglomerates near Ródenas, west of Peracense. In addition to the pock-marked surfaces, a strong sub-parallel fracturing cutting through the cobbles is observed. Where the conglomerates have been investigated, both features are more or less obviously associated with each other. Fig. 3. 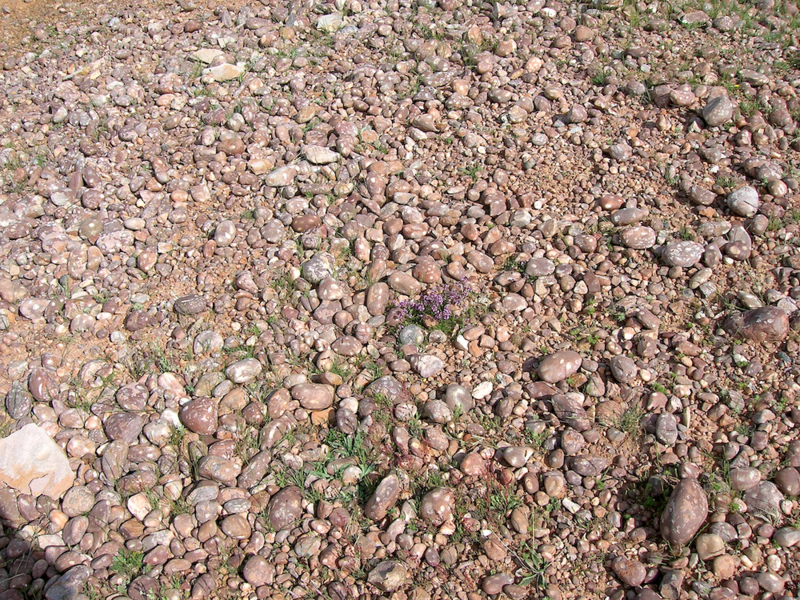 Field of completely disintegrated Buntsandstein conglomerate enriched in cratered and polished quartzite cobbles and boulders. Near Molina de Aragón. Fig. 4. 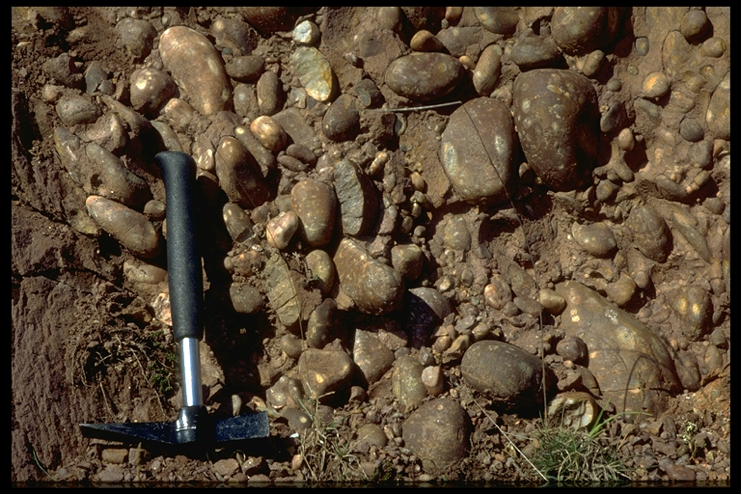 Field of completely disintegrated Buntsandstein conglomerate enriched in cratered and pock-marked quartzite cobbles and boulders. El Pobo de Dueñas. Fig. 5. 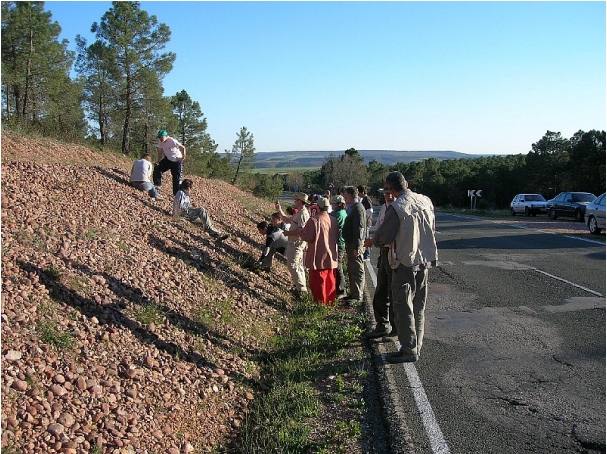 Outcropping cratered and pock-marked Buntsandstein quartzite cobbles; road between Molina de Aragón and Calatayud.